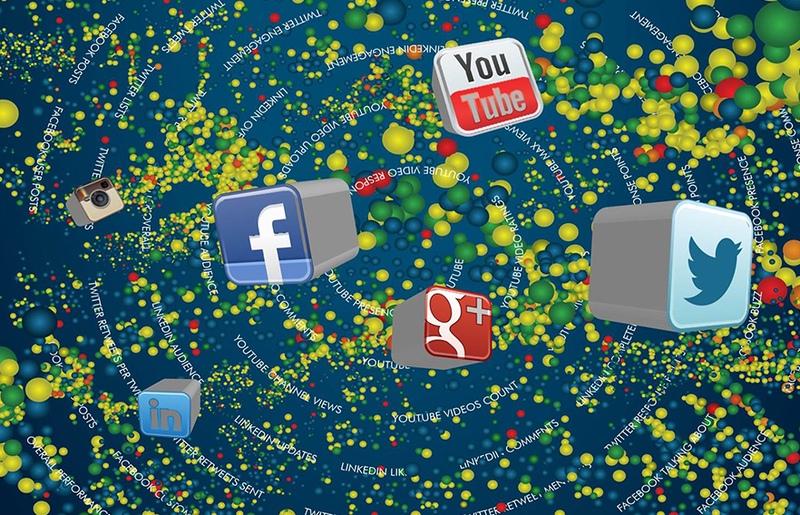 By the end of 2017, the internet population was measured at 3.7 billion individuals who generate 2.5 quintillion bytes a day. The world is now connected more than ever and with an ever-increasing number of electronic devices and this number is only set to grow over the coming years. According to a recent report on the Statista website, 82% of Americans now own a cell phone and almost 81% of Americans had a social media profile by the final quarter of 2017. Thanks to the convenience of portable technology, the tech-savvy consumer is ditching traditional channels like TV/Radio and increasingly using social media as their major platform for any interaction. Like any other field that has leveraged the power of social media to increase growth and revenue, sports marketers have now more than ever, started to understand the power of technology what with the usage of advanced 3D graphics, visualizations, video and analysis being commonplace nowadays. 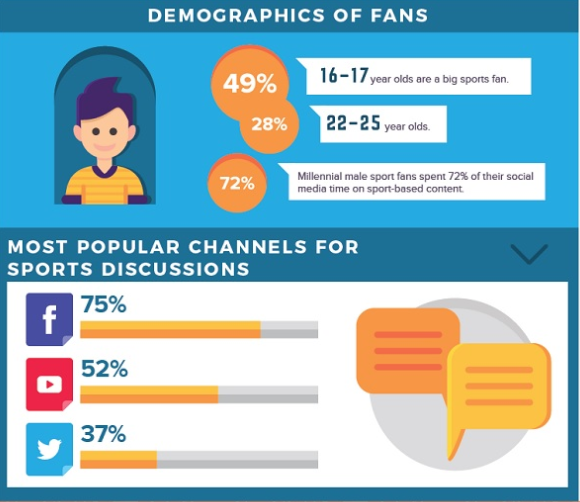 Sports marketers are now leveraging advanced social media analytics tools to build machine learning models, deep-dive analysis and more specifically, to find solutions to questions like – how do we consistently engage and retain the fans in today’s first changing environment? What are their needs and how do we measure their engagement, interactions etc. during sporting events? 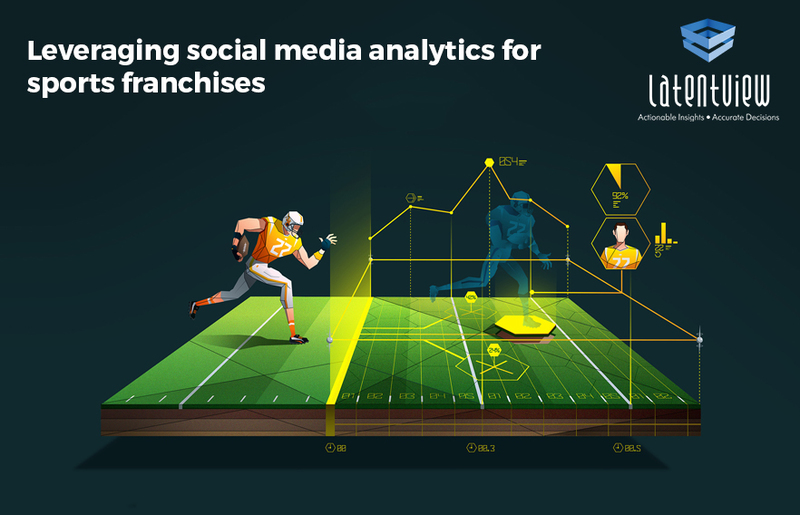 This constant monitoring has helped sports organizations not only identify current patterns of engagement, but also scope new avenues and audience groups to tap into. The biggest examples of these can be the introduction of musical performances during sporting events, usage of newer technologies like AR/VR, launch of smartphone apps etc. 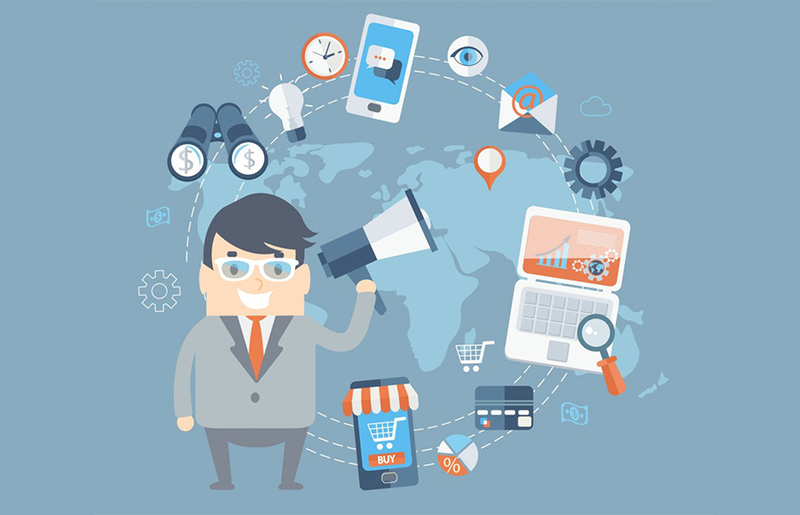 to keep the consumers constantly engaged. The increasing social awareness around gender disparity across fields has also been led to sports marketers recognizing women fans and women sports as a huge untapped market with phenomenal potential. They represent a growing consumer share and significant purchasing power. 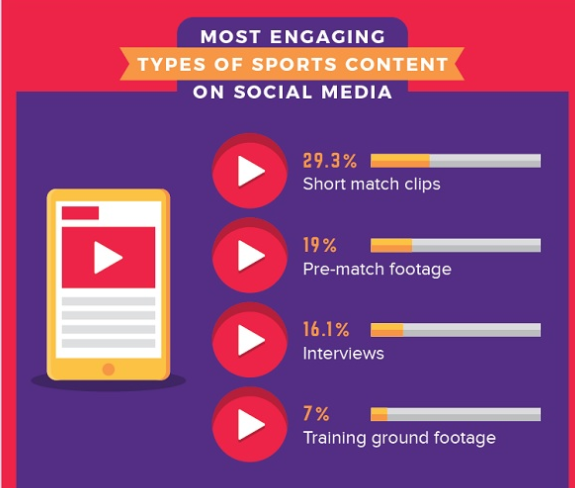 Sports organizations are also trying to bridge the gap between online and offline media by tracking the engagement of people visiting the stadium. They are experimenting with new near-field communication technology and mobile apps that will allow amenities like parking assistance, real-time bathroom lines, concession insights, cashless commerce, coupons, seat upgrades, game highlights and footage for people visiting the stadiums. 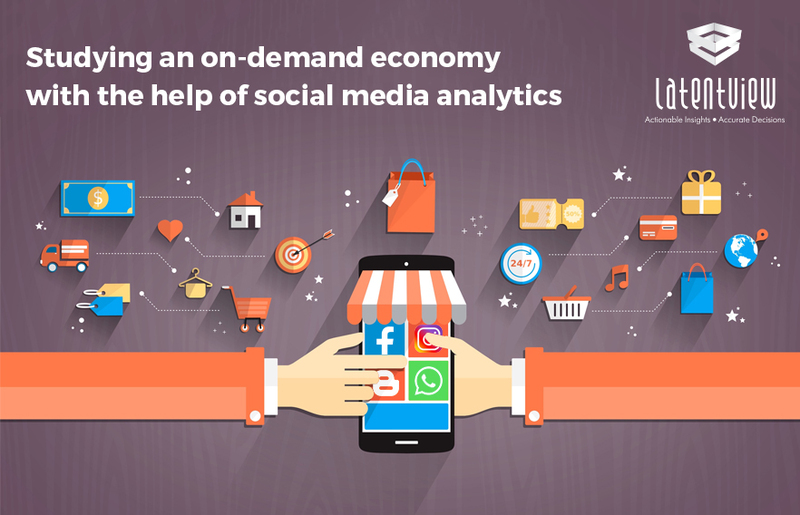 This helps in generating huge volumes of data which and when combined with online conversations provides granular insights about fans. The Levi’s Stadium, home of the San Francisco 49ers, is a good example. It has over 400 miles of fibre-optic cable with 680 wi-fi access points, meaning fans can access a 40 gigabit-per-second broadband network that is roughly 10,000 times faster than at home. At LatentView Analytics, we helped a global auto manufacturer to understand fan engagement across various motorsport championships using advanced analytics and natural language processing techniques. We set up a dynamic social analytical framework to identify major themes, compute the reach, and understand different customer segments across each championship. Typically, such a project begins with an in-depth understanding of the domain. In the motorsport sphere, we had to identify the platforms and handles from which there was maximum interaction and excitement. We had to understand the role of venues, sponsors, and the various ways in which the events are addressed. Once we identified the major sources of data, we began to extract and aggregate data using custom web scraping techniques and third-party aggregators. As motorsport events happen across the globe, there are bound to be regional variation in terms of language and jargon; these are handled by translators available as part of Google Cloud platform. The content available in social media is diverse and the volume is tremendous, however, it comes with a baggage of junk that must be handled. Machine learning models can be set up to detect bot-based conversations and spam, and you can filter out about 80% of the junk by looking up word clouds and buzz graphs of the data. Using the clean data, you can estimate the potential reach of the event and drill-down to find major influencers and drivers. (For e.g., we found a driver who does not typically win races having maximum reach and engagement on social media). Next, to identify topics of discussion, we tagged conversations to entities such as drivers, teams, sponsors, race time, etc. Using Elasticsearch we performed N-gram analysis entities to identify top words each entity is associated with. This kind of analysis can explain abnormal data points, for instance, the previously mentioned driver reached superstar status due to other activities like appearing on shows, participating in other racing events, making appearance in advertisements. To get an even better perspective of themes, we classified them as official and organic conversations where the conversation originates from an event-related official handle in the former and from general audience or other celebrities in the latter. This helped us understand how some sponsors were generating more buzz than the others. For instance, we could clearly see that event sponsors had a better reach compared to individual team sponsors. 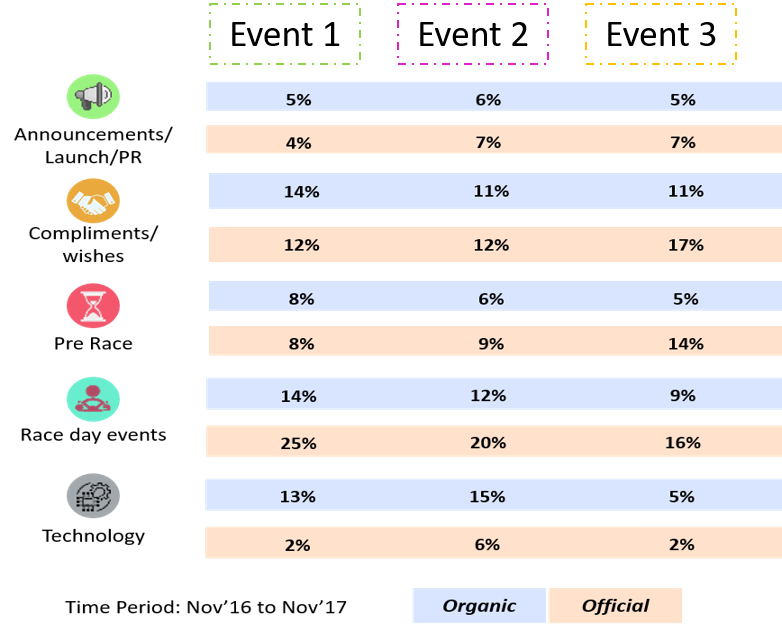 These themes were also broken down by demographic dimensions to understand what kind of themes trend with which type of audience and at what time and date. The theme analysis can be taken up a notch by identifying sentiments related to each theme. The Google Cloud Platform provides a way to identify entity level sentiment for each conversation. A chunk of negative conversations were related to race incidents such as injuries and fouls, a small spike of negative conversations in Europe helped us find disruptions in the broadcast of the event in that region. We also found how all official handles increased traffic pre-race and how buzz among general audience was slowly building up before the event and had a rapid fall post-event. Once we understood the reach and topics of discussion for each of these events, we delved deeper into audience characteristics and tried to understand the kind of things that interests them. We shortlisted twitter handles basis their engagement with each of these events and took a stratified sample while ensuring that the overall characteristic of the population is maintained. Using Twitter API package available in python we retrieved information like the handles follower/following count, the actual members these handles were following, if the handle is verified etc. Then scraping information available on Wikipedia for verified handles, the professions of the individuals were determined. Using these metrics and the cleaned data, feature selection was performed for the cluster analysis. After many iterations and validations, the final set of clusters were identified using K means clustering technique. 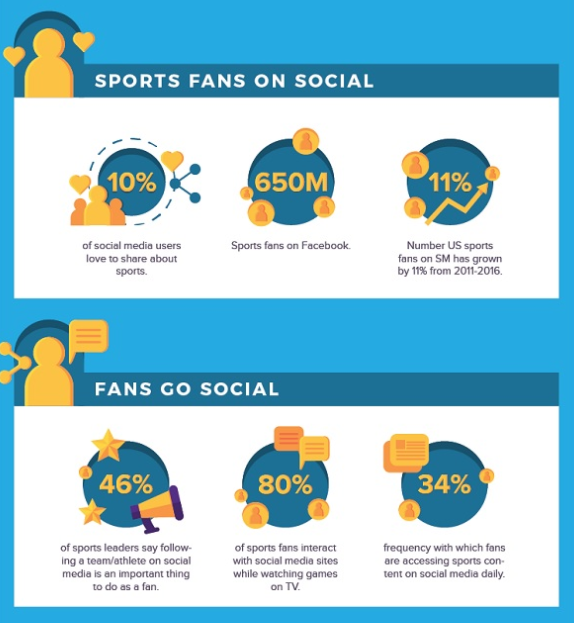 Conclusion: As social media enables fans to follow several events, sports teams, athletes and brands, the clubs or brands that reach out and provides a sense of deep engagement, will be the ones that create a strong and lasting connection. It is quite possible that most of these fans might never make it physically to the ground, yet they are spending money on merchandise or engaging constantly, thereby creating a rich, loyal fan base. Understanding the behaviour of the audience can help tailor experience of events and interactions with fans. The reaction to this improved experience in turn can be gauged again by harnessing the fan reactions and hence, a sustainable feedback cycle can be established to understand fans and entertain them.